UW joined representatives from 208 universities and 55 countries in May at the 5th Annual Consortium of Universities for Global Health meeting in Washington, D.C. The National Institutes of Health Fogarty International Center, in writing about the conference, features the Medical Education Partnership Initiative (MEPI), which is transforming medical education in sub-Saharan Africa. 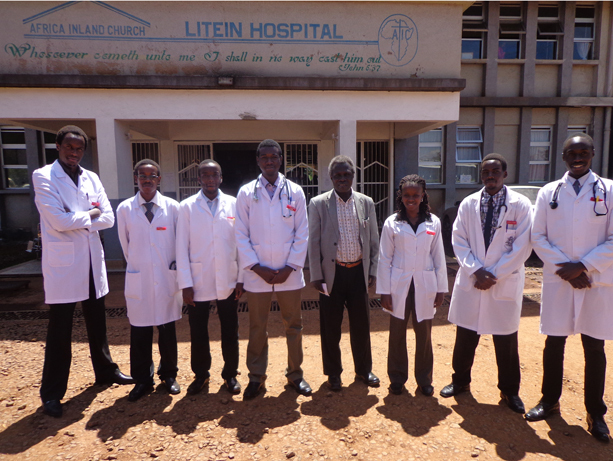 UW received a MEPI grant to work with the University of Nairobi on training physicians in rural areas -- similar to the training of rural physicians in the WWAMI (Washington, Wyoming, Alaska, Montana and Idaho) program through the UW School of Medicine. Dr. James Kiarie, a Kenyan physician who is quoted, trained at the University of Washington. The Fogarty Center also highlights a new survey of global health interest at college campuses. The survey was conducted by researchers in the UW Department of Global Health and shows that global health programs have grown substantially over the past two decades and are likely to remain robust. Read more about the conference, which links to a video address from President Obama.